This entry was posted in Christmas, Grief, Healing, Loss and tagged Christmas, Grief, Loss. Bookmark the permalink. I’m so sorry for your losses. One step at a time…Sending hugs your way this Christmas season. You are very wise, Anne, about wanting to talk to family and friends about the loss of a dear one. People are waiting to be guided. also, in the world of story-telling, we say ‘When you speak about someone, they live again.’ Take care and take your time. Thinking about you. Anne, thank you for sharing this experience, and the beautiful poem (which has me in tears, I have to say!) – sending blessings, thoughts & prayers your way for peace & acceptance when the time is right … and virtual hugs to comfort you. I hope the next year brings only good things your way. What a beautiful and inspiring message – thank you! I lost my first husband just before Christmas and know how difficult it is for those left and also for friends who want to help but aren’t sure what to do or say. Your advice is solid gold and coming from someone who is so close to the harsh reality of the situation it’s truly heartfelt and real. Also, I’ve loved this poem for a long time and feel it is truly uplifting, as is your whole post. I wish you peace and love this Christmas and hope 2012 brings you much love and renewed happiness. So sorry for your loss Anne – sending love to you. You’ve written a really lovely post and what an awesome poem , thank you for sharing. I’m so sorry for your loss, the hardest thing ever for a parent and my thoughts and prayers are with you – it’s been 11 years since my son Nicholas who was also 23 when he died after a car accident (drunk driver) ; and my Mum had passed away exactly one year previously. It’s something that changes you and changes your life forever – in the beginning it’s one day at a time. 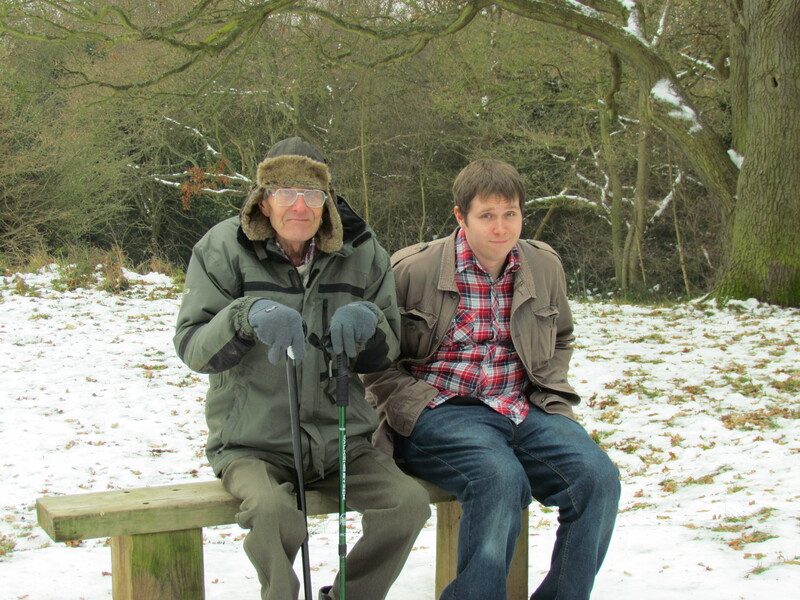 How wonderful that you are asking friends to talk about your son and Dad, so although they have moved on they’ll never be forgotten and you’ll be able to share memories when you need to. I don’t think time heals as such; but as time goes by, you will be able to live and handle loss more easily. Take care of you this Christmas and I wish you a peaceful 2012. No puedo escribir en inglés, pero te he leído y me resulta realmente inspirador tu forma de enfrentar estos sucesos. Recibe de mi admiración por tu fortaleza y valentía. Desde un sitio muy, muy lejano en La Paz, B. C. Sur, México, pero con la cercanía que nos dan los medios electrónicos y con mi corazón, recibe un abrazo fraterno y mi aprecio. Cecilia Cristerna. I suffered the death of my Son Edward on new years day 1996 , Edward was 24 years old. I could not read all that is written hear but, from the small amount I have read , I can only say that you seem to have a hold on your life and your pain. I hope you go from strength to strength. Blessings and love keep you safe and well. Dear Anne, there are never any words to say to someone when there loved one’s have passed away. But I wish you the joy of many happy memories to treasure and that even though you feel alone we are all sending beautiful thoughts your way. I too know the feeling of loss and mourning and loss of conversation, the journey through the tragedy and coming out the “otherside” when I felt I would never get out of the black hole that I felt had consumed me. And though we never fully recover from the loss even over time, the importance of remembering those gone before us and the many treasured memories is a blessing as with your beautiful photo’s. God bless you, you are a true fighter and I hope you will really find inner peace! Even for those of us who still have relatives, holidays can be a difficult time, because of all the wrong choices we make, from being upset for all the silly reasons to ignoring the “boring” traditions and doing “something modern”. And the sad thing is that most of us really know what they had only when it’s gone. and may the birth of Christ bring your soul a new life! Thank you Ann. I have just used the poem today at the funeral of my dear mother in law. It expressed everything I wanted to say. Anne, you are a beautiful, wonderful lady. Thank you for your excellent, thoughtful advice. It is astonishing that, amid your own pain, the nature of which we all know too well, you are so able to extend genuine help to others. I lost my only child, my dear, beautiful, charming, brilliant son, just ten weeks ago, on the day after his 37th birthday. Last Christmas, and my son’s glamorous, zestful, delightful presence in it, is a precious memory. I am deeply grateful for that. Even so, a real terror settled on me at the prospect of being without him, and therefore alone, next Christmas, even though the countdown has not yet begun. I shall still be alone, but I have cancelled Christmas. I shall hide from it by having dinner in a hotel with a friend. (That is as unlike the Christmases of yore as anything can be.) I shall have time before to visit his grave, tell him how much I love him, and leave him a bunch of Christmas lillies. After dinner, I shall come home, and ‘wait up’ for him to get home too. He will, I’m sure, either in my sleeping or waking dream. Thank you again, Anne, especially for recommending a strategic approach to Christmas. I did not feel especially sad this Thanksgiving. My son died in april this year. My son died in April of this year. My sister hugged me ( we don’t ever hug) and said this must be really hard for you right now. And my other son said We hadn’t thought about it until you brought it up. What is wrong with me? But I really really want people to talk about him, not to pretend he did not exist. Maybe they think it would upset me to talk about him. It might make me cry….but probably I would be happy they talked about him. My neighbor told me his son died by suicide but then said I don’t want to talk about it.